Recently I have ran across an issue with few different writers who have sent me their first chapters for critique. I know the first chapter is the hardest one and I thought I would post some important points for someone writing a book. After I wrote the rough draft for Fable, I began my revisions and ended up rewriting the first chapter about 6 times before Toni and I became co-authors. Then she and I rewrote it at least another 4 until we got it where we thought it would grab the reader and pull them along for the ride. So I fully understand your grief! And this doesn't just go for the first chapter, but if you have a prologue as well. The number one thing, right off the bat, is the hook in the first sentence. I have seen some wonderful hooks in my years of reading and I try to remember how important hooks are to hold onto the reader. Not just the first sentence, but the first paragraph, the end of the first page and the end of the first chapter. Hooks don't have to be action packed. They can be a simple sentence that intrigues. But it is top priority to get it right. Such as: Today is the day I died. Now, that should grab someone. The next thing is I see writers use a lot of back story and info dump trying to explain the life story of their character(s), and all in the first chapter. I know it's harsh to hear this, but the reader doesn't care. If it's not important to the story, first of all, then leave it out. But if it is something that pertains then weave in with dialog, and not all in the first chapter. You will bore the reader to death and you should leave some unanswered questions for the reader to wonder about. If you want the reader to care about the character then leave them wanting to find out about certain things. Try to take them for a ride into the character's mind and the issues the character faces, not whether or not they had a bad childhood or ran with a biker gang and did drugs. 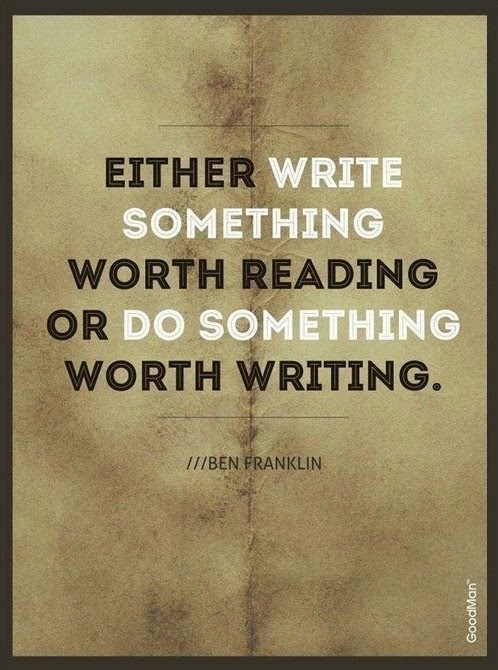 So rethink the way you are writing your first chapter and try to cut out what's not necessary. That also includes too much description also. I have read books that the first few pages is describing a scene. Don't do this. The reader will put it down, just like I did. In fact that book was the Shack. So, you see, the first chapter is the most important one so make sure to have it critiqued and listen to what the person is telling you. It will make all the difference in the world. 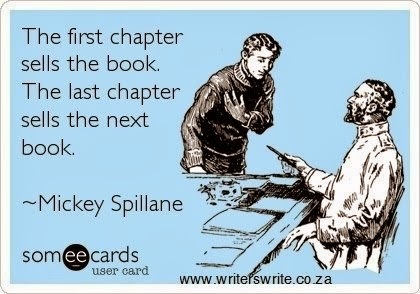 Have you had issues getting that first chapter just right? Leave me a comment and let me know what problems and/or critiques you've had to endure. I wanted to announce the winner of Sharon Ledwith's book: Darlene! Enjoy and she is getting it to you ASAP! Until Friday, have a great week all! Thanks Susan! I'm glad you liked it! But you don't like info about our books?! I know, just teasing you a bit! did you like the post I did next? It's the one after this one?